2005-2007 STi (GD) Sedan 750HP Level 5 Front Axles. The Level 5 front axles are a direct fit set and feature aerospace grade axle bars, billet male inner CV and a direct fit outer CV that will fit the factory wheel hubs. 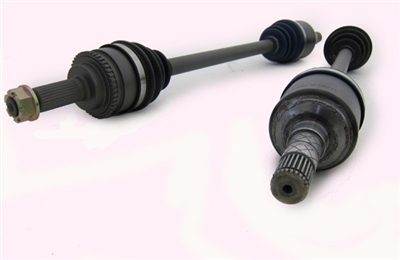 These axles have a 1-year warranty. Price listed is for both axles.